As the world gears up for the 2016 Olympics in Rio, a new film named Race remembers the momentous events that took place 80 years ago at the games in Berlin. Under the noses of the burgeoning Nazi party, a young African American athlete named Jesse Owens took the games by storm, winning four gold medals. In the process, he destroyed Adolf Hitler and Joseph Goebbels’ dreams of showcasing the athletic supremacy of their Aryan master race. 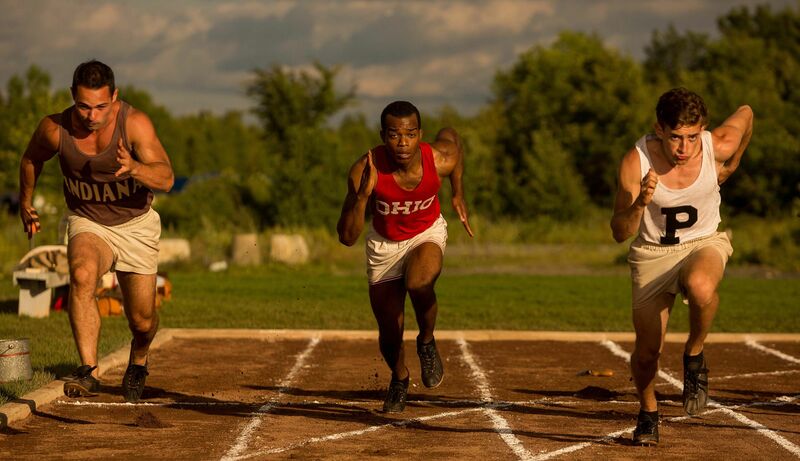 Race, directed by Stephen Hopkins and starring the young Canadian actor Stephan James, begins with Owens’s arrival into Ohio State University in 1934, where he joins its ailing track and field team, led by the former athlete Larry Snyder. Together, Owens and Snyder form a partnership that just two short years later would lead to gold in the 100m, 200m, broad (long) jump and also the 4x100m relay at the Berlin games. Having not run relay prior to the event, Owens was given the blessing to compete by the two Jewish-American athletes Marty Glickman and Sam Stoller – who were removed from the event in somewhat mysterious and highly controversial circumstances. 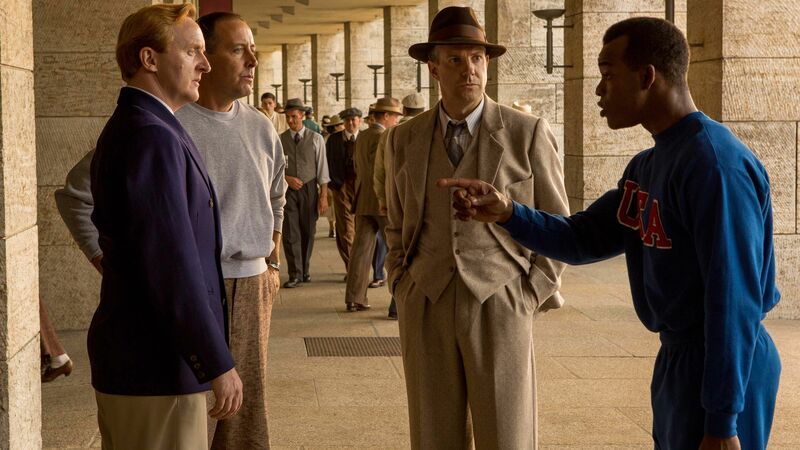 Jesse Owens’s remarkable story is not about one man against a fascist regime. It looks at the bigotry he faced in his own country, as well as the moral conflict the US Olympic Committee faced while deciding to attend the games. 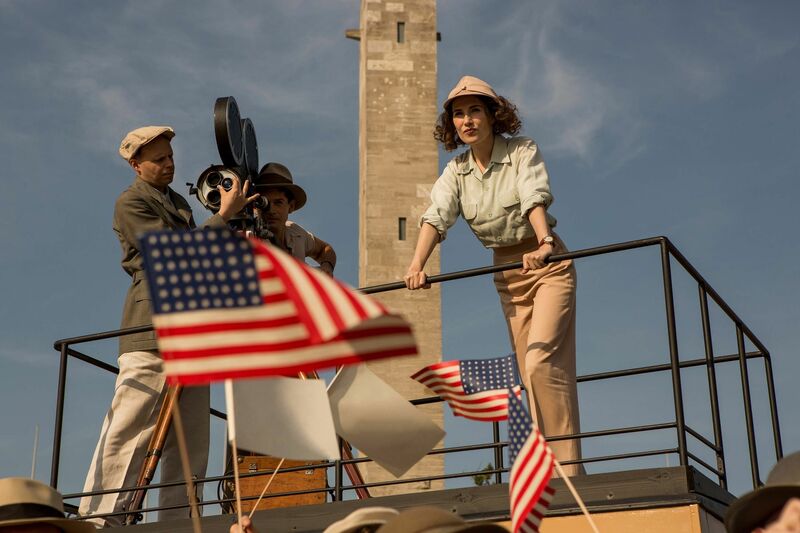 A further dimension is added with the battle between pioneering German filmmaker Leni Riefenstahl and her paymasters to include Owens’s story in what was to become her epic documentation of the games, Olympia. Also featuring Jeremy Irons and William Hurt in key roles, Race is a brilliantly realised period sporting drama – costume designer Mario Davignon’s wardrobe is particularly evocative – that recalls an ugly chapter in history, and the amazing man that managed to rise above it all to beat the odds.